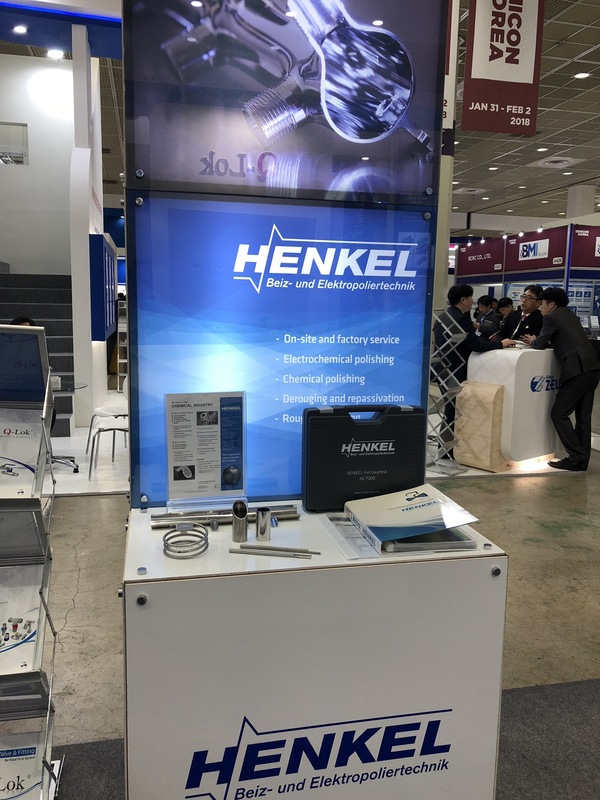 From the 31st of January up to 2nd of February 2018 our sales Partner UCT Korea represented our Portfolio at the SEMICON Korea. 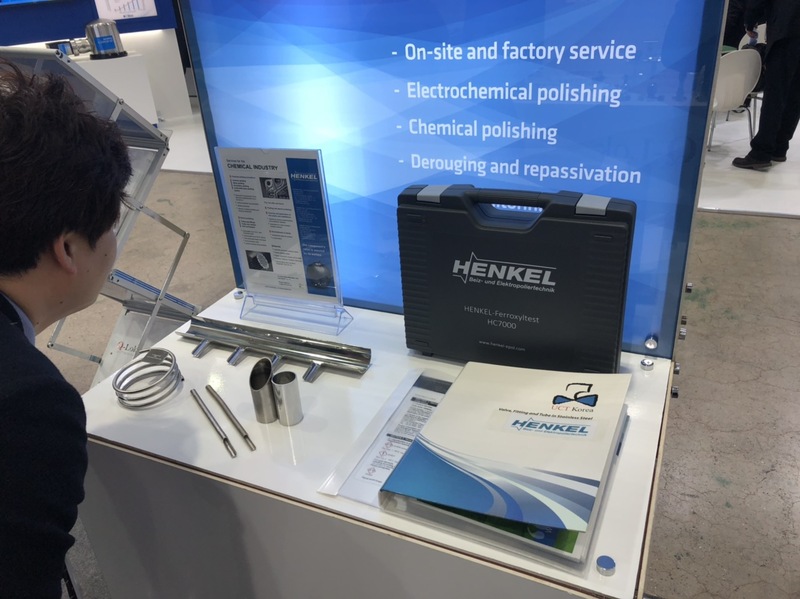 The HENKEL Services were well demanded because especially for the manufacturing of semi-conductors purity and particle freeness are significant factors. Next to further Advantages, the micro smoothing of electropolished stainless steel tubes is responsible for an optimized flow behaviour of ultra-pure gases. In Addition the surface gets free of inclusions, defects and particles after electropolishing treatment and final cleaning. After electropolishing the tubes will be cleaned and packed in our own clean rooms. Then tubes and components can directly assembled in semiconductor manufacturing. With almost 50.000 attendees the SEMICON is one of the biggest semi-conductor exhibitions on the Korean peninsula. A visitor plus of 17.5% compared to last year confirms the persistent great interest in future topics of the semi-conductor industry. We would like to thank UCT for their Engagement and hope for a continuously successful corporation and common Projects in the future.